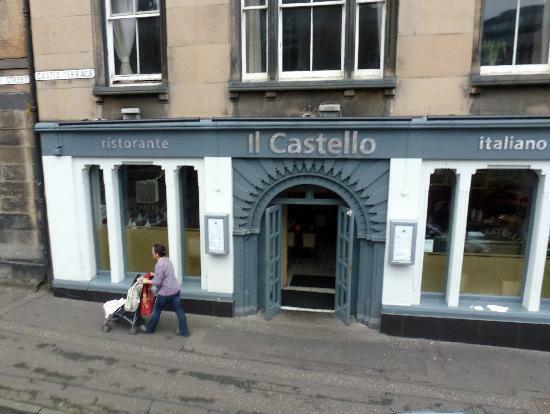 I have been using Il Castello, an Italian restaurant in Edinburgh, Scotland for many years, ever since a friend introduced me to it. Il Castello sits in the shadow of Edinburgh Castle and has been and remains a great favourite of our family. We often choose it for our Christmas or birthday celebrations. Disabled access is easy and the waiters are very attentive. On our last visit we were offered a table that was convenient for my disabled guest and drinks were served promptly. Then our orders were taken. Starters arrived quite quickly. The home made soup was delicious and the salads crisp and fresh. Our main courses were varied. The chicken was tasty and moist: steaks were exactly as ordered. The pizza was delicious, but too big to finish and the pasta also very enjoyable. We did not eat dessert as we could not have done it justice. However we had teas and coffees that were freshly made and a fine end to a lovely meal. We have been many times before and will no doubt be back again. My advice is book early to avoid disappointment.